WINNIPEG, November 3, 2018 – The Winnipeg Jets announced today they have reassigned defenceman Tucker Poolman to the Manitoba Moose. The Jets also announced they have returned goaltender Eric Comrie to the Moose after he traveled with them to Finland as a non-roster player. Poolman, 25, has played in six games for the Moose this season and has three assists and two penalty minutes. 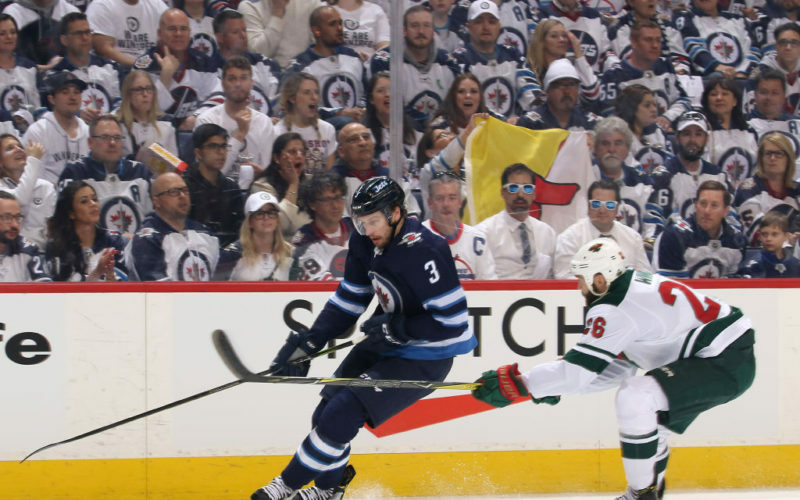 The product of East Grand Forks, Minn. played 24 games for the Jets in 2017-18 and had a goal and an assist and he also appeared in a pair of playoff games for Winnipeg. Poolman also played in 17 games for the Moose last season and had 10 points (1G, 9A).